Part two of the big screen adaptation of Veronica Roth's bestselling series of YA sci-fi novels boasts a larger budget and sharper hairstyles than its predecessor, but remains incapable of stepping out from the long shadow cast by rival franchise The Hunger Games. Even with a central cast that reads like a who's who of Hollywood's young elite, and a supporting roster boasting at least two Oscar winners, Insurgent is the awkward middle chapter in a saga crippled by a nonsensical narrative and derivative aesthetic that no amount of flashy CGI action can rescue. The set up of Roth's dystopian future sees the remnants of humanity surviving in the walled off ruins of Chicago. Society is split into five factions determined by personality trait, in a bid to keep the peace. Unsurprisingly, things fail to go as planned and the intelligent "Erudites" - led by the meglomaniacal Jeanine (Kate Winslet) - are plotting to take over. After thwarting Jeanine's initial plans in the first film, plucky young heroine Tris (Shailene Woodley) is now on the run, with her strapping beau Four (Theo James), wimpy brother Caleb (Ansel Elgort), and douchebag bro-guy Peter (Miles Teller) for company. But Tris is carrying baggage of her own. She's "Divergent", meaning she displays characteristics of more than one faction. Born into "Abnegation", but determined to be "Dauntless", Tris just wants to find her place in the world, while dealing with the conflicting emotions of guilt over her parents' deaths, murdering one of her classmates, possibly having to save the world, and being stuck with the three guys she dated in all her most recent movies. For a heroine, Tris is carrying a promising amount of baggage around with her, yet Insurgent does not seem particularly interested in seeing her wrestle with it. Instead the film seems determined to play the different factions off against each other, whether they be Octavia Spencer's basket-weaving "Amity", Daniel Dae Kim's truth serum-chugging "Candor", or even Four's mum Naomi Watts and her freewheeling "Factionless", who just want to start a civil war. The big problem with the film, and the entire series, is that the premise makes no sense. Dividing a society up into groups dictated by your differences is only going to heighten tensions rather than placate them. Then having the differences be intangible personality traits that every human possesses to a varying degree anyway seems somewhat foolish. Then undercut the entire system by allowing characters to choose which group they join regardless of which best suits them. It's idiotic. Fortunately, director Robert Schwentke (The Time Traveler's Wife, RED) has been gifted a budget large enough to indulge numerous CG-heavy action sequences, the stand-out involving a free-floating, immolating concrete shed about which Tris must clamber and swing as she attempts to rescue someone from inside. Because when nothing on screen is making sense, it might as well look good. And most of the time Insurgent does look quite nice. Woodley is a sympathetic screen presence, even if Tris is a little opaque and out of her depth amidst a world of over-tweaked parkour and piercing enthusiasts. She has clearly got herself into tip-top physical condition for the role, and seems far more comfortable exerting herself physically than emotionally. In fact, Tris - like much of the film - is prone to sudden bursts of wanton violence. While Schwentke keeps blood to a tween-friendly minimum, the amount of gratuitous murder that proliferates the film is genuinely shocking. The older generation have little to do here beyond model vaguely quirky attire and pretend they use words like "Abnegation" all the time. Winslet is clearly relishing a rare opportunity to play the villain, despite being largely confined to a glass room filled with blinking lights. Watts too embraces her against-type casting with obvious gusto in a role that is only going to get more interesting as the series goes on. Of the younger players, Miles Teller rises effortlessly above his peers, stealing every moment of screen time his weaselly Peter is given, frequently outshining Elgort and the disappointingly one-note James. It will be interesting to see if his role is expanded in the two-part climax, Allegiant, to capitalise on his rising stardom, as what we get here is little more than a sadistic tease for viewers desperate for any kind of stimulation. As good as it may look at times, and as talented as its cast may very well be, Insurgent is a muddled and lacklustre film in a franchise that needed so desperately to prove it was something more than merely a Hunger Games copycat. 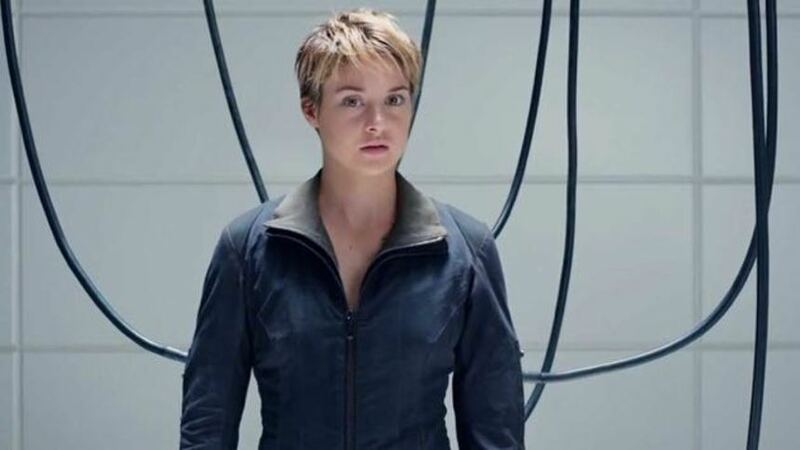 Sadly, while that series has made great strides expanding its universe and examining the role of its reluctant young heroine in some genuinely fascinating ways, Insurgent does little more than widen the already gaping holes in its painfully fragile premise.